Blowout Sale! 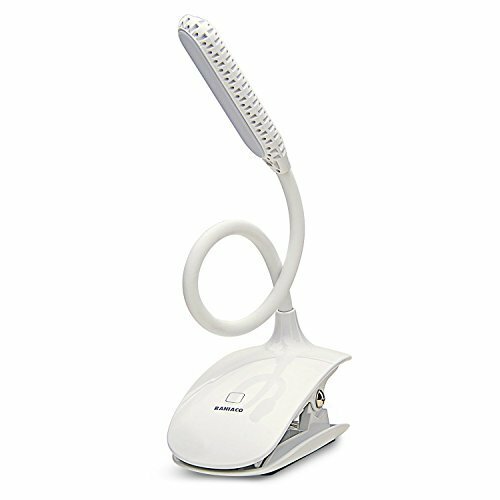 Save 52% on the Led Clip Reading Light, Raniaco Daylight 12 Leds Reading Lamp-3 Brightness,USB Rechargeable, Touch Switch Bedside Book Light with Good Eye Protection Brightness by Raniaco at F LED Lights. MPN: RARL001. Hurry! Limited time offer. Offer valid only while supplies last. Features: Touch Sensor Switch with Adjustable Light: You can keep it glowing with a single touch and you can adjust it to suit your needs.